Email marketing can be highly effective if you follow these simple guidelines. Learn what you should look for, before hitting the send button! Certainly, one of the most important aspects of any email marketing campaign Your list is directly correlated to your success. Is your email list recent? Have they agreed to be marketed to? Have they shown an interest in products or services similar to your own? Make sure that you are using a house list (names you collected on your own) or have been purchases from a reputable broker. Getting a user to open your message is paramount any email marketing campaign. The best way to determine the subject line that works best is to break your emails into three random yet equal groups. Measure the response to each email and use the highest producing one as your control. In follow up emails, try to beat the response rate of your control email. What information appears on the sender line of your email? Will your prospects recognize it? Do they want to hear from you? Often, emails are deleted without ever being opened due to an indiscernible sender name. Your sender name should be brief and easily understood. Tracking allows you to determine who opened your message and clicked on a link or multiple links within your email. By determining what worked and what didn’t, you can replicate success in your next email. As described above, tracking is particularly important when testing subject lines, imbedded links, and other direct response vehicles. The CAN-SPAM act of 2003 requires that all email messages contain clear directions on how to opt-out from subsequent mailings. 6. Your images are correctly referenced, and you’ve used alt tags in each image. Improperly referencing your images can cause them to appear broken when you send your message – the dreaded red x. To protect the image is referenced correctly it must appear as, img src=”http://www. Com….” rather than, img src=”/images/picture.jpg”. Alt tags are another important part of your images. The new security features on almost every email client these days disable images automatically. Having alt tags in place allow your reader to identify the image and determine if it is safe to enable. No matter what your involvement with email marketing happens to be, it is essential that you follow the guidelines above for successful results. In addition, the key is to test, test, test! After each email campaign, measure your opens, click-throughs, and purchases. Document the specific date, time, list, subject line, and content used to produce your results. Refer back to your documentation before your next campaign. Email doesn’t have to be a complex form of marketing. There are many best practices you can follow and some simple rules that ensure effective delivery, open and conversion. 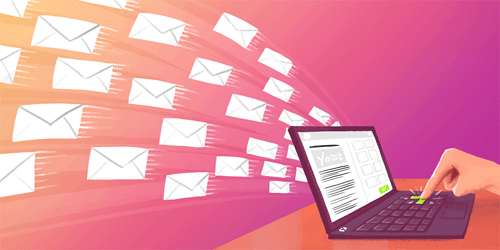 By following the simple rules presented in this article, you’ll not only deliver and effective email campaign; you’ll discover a consistent method for generating revenue for your business. 0 responses on "7 Steps for Improving Your Email Marketing"